Are you a Follower of Yahushua, but continue to (unknowingly) practice abominations? That is, do you (unknowingly) have things in your life that are considered “abominations” in Father’s eyes? Here we see that one must ‘overcome’ in order to avoid being among the abominable, that is, among those abhorred or detested by Yahuweh, because they practice abominations. Notice in the warning given in Revelation 21:27, we are told that those who work [make, bring forth, commit, produce, celebrate, keep, perform] abomination, or [‘even’] a lie [falsehood, deception], will not enter in to the City of the King. Notice in the wording of the passage, the use of the word “even” tells us that making (bringing forth, keeping, celebrating) a falsehood — a lie — is equivalent to making [bringing forth, keeping, celebrating] an abomination. Let’s now begin to identify these abominations, for they are a part of ‘Mystery’ Babylon. In order to identify the many abominations being practiced by many Believers today, we must first identify the woman that is the ‘mother’ of these abominations. First, we might recall that the ‘woman’ seen here is the ‘Strange Woman’ religion mentioned in other writings, but seen here as ‘Mystery Babylon.’ The prominent feature of this ‘Strange Woman’ religion as seen here, is that first of all, Mystery Babylon is a ‘mystery,’ and is thus not readily seen. There are many precious Believers today who are followers of Messiah, but who are still entrapped in the religion of ‘Mystery Babylon’ in the practice of their Faith. As a result of the unseen ‘mystery’ aspect of this religion, these Believers continue to practice the falsehoods and abominations of the ‘mother’ called Mystery Babylon. Here we are told that Yahuweh’s people have broken Yahuweh’s covenant, because of their abominations. Notice in the above passage that the abominations of the people include their ‘religious’ practices. Continuing in the Revelation passage, we note that the name of the woman is “MOTHER OF …ABOMINATIONS.” This name tells us she is the ‘mother’ of abominations — that is, she gives birth to the practice of abominations. Let’s see what this means. We will recall that this ‘mother’ is a religion that appears to its followers be the embodiment of Truth. But because of the mother’s ‘fornication’ with heathen idolatries, which are falsehoods, she gives birth to a ‘child’ that is actually a mixture of truth and falsehood, and thus is not a part of Yahuweh’s Covenant. The practice of keeping and celebrating falsehoods or ‘Lies’ by the followers of this ‘child’ religion are the ‘abominations’ practiced by those followers. Let’s now identify these abominations. Again because of the mystery aspect of the ‘mother’ religion, the abominations are not easily seen. But because these abominations are falsehoods or ‘Lies’ made (practiced, brought forth, kept, and celebrated), we have our first clue as to their identity. Let’s look at some abominations in Scripture, to see their origin and various identities. In Scripture there are many kinds of abominations described. These are actions or practices of the people, either in thought or in deed, and include dishonesty, pride, lying lips, idolatry, and so forth. These are all open and obvious, so we will not deal with these in this writing. We will instead focus on those not easily seen, so more likely to prevent multitudes from entering into the City of the King, and into their inheritance. Because these abominations are not easily seen, we must look to the Scriptures, to bring into view the nature of these abominations, and to reveal their source. In the above passage we note two features. First, we have seen from other Scriptures that a person can become ‘abominable’ by the uncleanness/ defilement of disobedience (Lev 11:43; Lev 20:25; Ezra 9:11). Here in our Ephesians passage, we see the same message we saw given above in Revelation 21:7-8 — that those who are abominable (detestable, causing a ‘stench’), but here called unclean/ defiled, have no inheritance in the Kingdom, and will not enter in to the City. In the above Isaiah passage, we see a startling feature: that to choose our own way in worship brings forth abominations. Let’s see why this is true in the next passage. In the above Proverbs passage, we see from the Hebrew word definitions, that the wicked are those whose practices are unrighteous, who have departed from the Way, and are crooked in reference to being a “DO-er” of Torah. The upright are those whose practices are righteous, and straight or upright, and are in the Way, as to being a “DO-er” of Torah. We glean from these passages that “Our Own Way” in our religious practice is an abomination to Yahuweh, and we should instead walk in strict obedience to what Yahuweh has prescribed in His Word. If our ear refuses to hear [hearken to, obey] Yahuweh’s instructions in Torah, even our prayer becomes an abomination to Him. We glean from this that we might be wise to hear [hearken to, obey] Yahuweh’s Torah, indeed all of His Word, regarding our religious practices. In the above passages, we see one unified principle. In matters of worship commanded by Yahuweh, to perform something “not commanded” is considered “strange fire” before Yahuweh, and this results in death. We also see that to disobey in matters of worship, and to do what seems to be acceptable, even to ‘steady the ark,’ results in death. So we glean the principle that voluntary actions in matters of worship, when not commanded by Yahuweh, is the same as outright disobedience to Yahuweh, and results in death. In the above passage, we see that it is possible to say (and really believe it to be true) that we know Yahuweh; but at the same time deny Yahuweh in our works and actions, and this would include our religious actions or practices. And here again in this passage, as in other Scriptures, we see the principle linking being abominable with being disobedient. But here we see an added bit of information — that because of the disobedience, even what is considered ‘every good work’ is reprobate — that is, not proved, found to be unfit, and rejected by Yahuweh, because it was not done in obedience to His Word. From this passage we glean the principle, that when we are disobedient to the words of Yahuweh, we deny Him; and what we may think are good works, are actually abominations, if they are not works of obedience to Scripture. And as a result of our abominations, we will not enter into the city of the king, unless we repent of our disobedience, and our abominations. Because Believers today have turned their ear away from hearing (hearkening to, and obeying) the Law (Torah), they have replaced obedience to the Scriptures with their own religious ‘good works’ or practices, which are ‘Strange fire’ before Yahuweh, and so are abomination to Him. Here is a short list of abominations widely-practiced by believers today, considered ‘strange fire’ because they are religious practices not commanded by Yahuweh. But because they are substitutes for what has been commanded in Scripture, their practice is actually idolatry, and abomination. The day they are observed should be another clue. Yahushua was not born on 25 December, but on the first day of the 7th Biblical month, the Feast of Trumpets. The christ-mass celebration is therefore not a celebration of His birth. The existence of that one lie should be evident to most. The Easter celebration likewise, does not observe the Resurrection of Yahushua, for Easter is not observed on Yahushua’s actual Resurrection day, but on a day designated by men, different from the Scriptural day of His resurrection, the Feast of Firstfruits. This too is another lie that is evident. Now recall the warning we saw above in Revelation 21:27, that “those who work (make, bring forth, commit, produce, celebrate, keep, perform) abomination, or (‘even’) a lie (falsehood, deception)” will not enter in to the City of the King. Easter and christ-mass are both lies in every respect, and those who continue in them will not be allowed into the City of the King! Those who will enter in, however, are those who begin to observe all Messiah’s true Feast Days! If we address only these two religious activities, we cover much of the abominations and disobedience preventing multitudes of Believers from entering their inheritance, unless they repent. When we perform these celebrations [and others mentioned in other writings], we are actually in disobedience to the Scriptures, and we thus become unclean, and are an abomination to Yahuweh, until we choose to repent, and stop our disobedience. Let us cease the practice of the abominable easter, christ-mass, and other man-made, religious customs. Let us instead celebrate the Birth and Resurrection of Messiah on the proper Holy days commanded in Scripture. The Feast of Yom Teruah, also called the Feast of Shouting and the Feast of Trumpets, was the day in which Messiah was born. As the first day of the Fall Feasts of Yahuweh, the birth of Messiah was indeed a day of shouting, and we are to observe this day as a memorial (Lev 23:24). 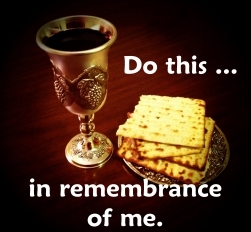 The Feast of Passover was the day of the death of Messiah. That year, it was three days and three nights later, that the Feast of Firstfruits marked the day of Yahushua’s Resurrection, which we are told to observe (Lev 23:5,10). Let us remove all our Abominations — This is a Warning to the Bride! Thanksgiving Day, Veteran’s Day, Labor Day, President’s Day, Mother’s Day, Father’s Day, Valentine’s Day….all of these along with Easter, Christmas, birthdays,….all of these we should not participate in, right? Thank you for these wonderful truth articles. They have been a great confirmation to me. I have not been able to stop reading. I would like to use them as a guide along with our scripture study as I am teaching my daughters all of these things as I too am being taught. I do have one question, however. I have shared many truths with others that Father has taught me and those I have shared with do not receive even though I make it clear that the words are not mine but in the very bible they say they read. I am looked at as a religious nut and somewhat off. Would it be wrong for me to distance myself from these ones until they come into the knowledge of the truth? They believe what their leaders say and consider themselves to be leaders of the people. Thank you Eunice, for your comments, and for your testimony that you are walking in Yahushua’s Truth. As our walk with Messiah becomes ever closer to Him, and to His walk, we will receive greater scorning and contempt from others, primarily from among family and friends, and even from others who are Believers — but especially from those who are entrenched in religious tradition, such as Bible School or seminary graduates, those who are called spiritual Leaders. You need not distance yourself from them, but continue to speak the Truth, as the Holy Spirit gives it to you to be spoken, and as according to Scripture. You will find that it is others who distance themselves from you, and not you from others. When this happens, leap for joy! (Luke 6:22-23), for this is an indicator that your walk is close to being His walk! Be encouraged! Also prepare to celebrate the Feast of Tabernacles with others in your locale — it is almost that time! I see truth but when you say Christmas and easter are abominations wouldn’t Hanukkah also be an abomination because it wasn’t created by Yahweh? Perhaps I don’t understand it all but if celebrating holidays like christmas, easter, and hanakkuh are abominations then wouldn’t all Christians, Jews, every religion be denied into the gates of heaven because of celebrating things without the consent of Yahweh, there all made up holidays not based from his word. The Hebrew word hanukkah means “to dedicate.” Some of the Hebrew words for dedicate are the Hebrew words translated ‘holy,’ which means “set-apart”—that is, dedicated unto Yahuweh for a special purpose. As I have shown in the post, The Prophetic Message of Hanukkah, there are a many different dedications (‘Hanukkahs’) in Scripture. Hanukkah is the Feast of Dedication, also called the Festival of Lights, whose major theme is the cleansing and re-dedication of the altar to Yahuweh. And as I have shown in the post, Hanukkah is for Christians today, we are called upon by the apostle Paul to celebrate a personal Hanukkah — to ‘dedicate’ our lives unto Yahuweh as a living sacrifice (Proverbs 23:26; Romans 12:1-2). In John 10:22-23, we are told specifically that Yahushua walked in the Temple at the time of the Feast of Dedication, during the winter. All of Yahushua’s words and actions were prophetic events, and are for us to emulate in our own lives today. Hanukkah, unlike christmas and easter, was not of pagan religious origin. When we begin to celebrate Yah’s Feast days instead of pagan religious feast days, our understanding of Yah’s Word blossoms! Thank you very much to who ever posted this. I am so very grateful I came across this site. I stopped celebrating christ-mass and easter 2 years now. Prior to that I thought there was something terribly wrong with it. It did not appear at all to have anything to do with Yahushua. And of course the day of his birth was certainly not Dec 25 so the whole thing seemed very false and pointless to me. I began to acknowledge Passover and I celebrated it last year 2012 and this year I just acknowledged it as I did not have funds to join the celebration as it was quite far from where I live. For christ-mass 2012 I did not celebrate it however I did attend my husbands family christ-mass dinner because somehow I thought it would show how much I love him. 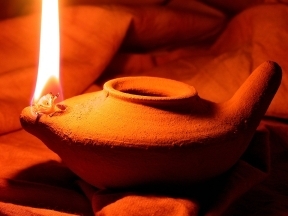 I am especially grateful to know that we are to celebrate Yom Teruah (Feast of Trumpets). I celebrated this in 2011 yet I did not know it was the birth of the Messiah! It is exciting to know this – and more so that we are commanded to celebrate it! I want so much to be amongst those who worship Yahuweh in Spirit and in Truth. I pray for Yahuweh’s mercy upon me that I would repent of every abomination known to HIM and to correctly celebrate all of HIS High Holy Days of Convocation. Wow this makes so much sense. Yahuweh tells us to be HOLY for He is HOLY. Glory be to the Most High God!!! HaleluYAH!! Praise Yahushua!!! This answers my question about christ-mass. Now that we established that christ-mass is not from God and not Yahushua’s birth day, WHEN is His birth day and are we allowed to celebrate it?! :) Thank you again and may the Lord God Almighty Yahuweh bless you abundantly for posting this. Amen. Thank you Sonia, for your visit, and for your honesty and openness, in sharing your experience of following Messiah! Many Believers today are turning to Messiah’s Word, and are beginning to follow Him, to walk with Him in “paths they have not known” (Isaiah 42:16). This is the promised restoration of all things, now underway to make us ready prior to Messiah’s return! This restoration is occurring among Born-Again Believers, and includes ceasing the practice of all the religious trappings we have learned along the way, and returning to being “DO-ers” of the Scriptures, to walk in Father’s Ways. These ways seem ‘strange’ to many Believers, but are indeed Father’s Ways, and are a vital part of the Everlasting [‘New’] Covenant. Some of these are described in various articles on the main website, The Way Prepared. There are no ‘birthdays’ per se to celebrate among Father’s ways. We are however, given the Feast of Trumpets [‘shouting of an alarm to awaken’] to observe, which is the day that would correspond to the birth of Messiah, the day He was made flesh, and ‘tabernacled’ among us [literal Greek] (John 1:14). Blessings to you Sonia, and to your household! Hallelu-YAH! Praise be that i came across your site. I haven’t celebrated christmas or easter for 18yrs or so, now cease also from valentine, birthdays or mother/fathers day. Some say i’m too extreme in my views, but my heart led me away from these commercial vain days. Even today when i explained my stance i was asked if i lived in this world. Since when is it mandated to follow these vain customs to be partaker of this world? as my world hasn’t stood still since giving up these days of vanity. If it’s not going to be celebrated in the New Jerusalem then why should i acknowledge it here just for mans sake. Thank you Yahsmin, for your visit and comment. Yes, the Bridegroom is separating out His Bride-Company, from all who are unclean, and who work abomination and a lie, and those who continue to do iniquity. Yahsmin, continue to speak to the other Believers, to encourage them with your words, and with your testimony of obedience! I want to sincerely thank who ever was responsible for posting this.I have served idols,and witchcraft for years and out of sheer ignorance.I have experienced all that yall describe in the curse. Thank you July2475, for your comment. Yes, we all have lived in ignorance in the past. Thankfully Yahushua is now undergoing the promised ‘Restitution [restoration] of all things,’ and is preparing His people for His return! Hallelu-Yah! Israel was called a Harlot when she went after the idols and graven images. I think this also connects with the Harlot in the book of Revelation. Thank you Liz, for your comment. Yes, it is this truth seen in Revelation that completes the prophetic revelation of exactly who the ‘Harlot’ is today–it is the company of ‘Believers’ who have been Born-again, and filled with the Holy Spirit, and thus grafted-into (called by the name of) Israel–but who have not yet given up their spiritual harlotry–their many forms of idolatry! What about Galatians 4 that says to keep days and times are going back to beggarly elements of our belief? Thank you Judy, for your visit, and your comment. –Prevent us from living by Messiah’s example, because we resist His being birthed within us, and His living within us as He lived (Gal 4:19). Now we can say from all these descriptions, exactly what Paul is saying: The ‘weak and beggarly elements’ are simply anything that is not from Yahuweh, and not according to the Scriptures, and not according to the life example of Messsiah. Instead, the ‘weak and beggarly elements’ are a return to ‘sin’ (a return to transgressing the Law-1John 3:4), and they involve a return to customs/decrees that are according to the commandments and tradition of men, or what we might call ‘pagan’ practices. The celebration of ANY ‘holy’ days not commanded fits this description. So yes, Galatians 4 would definitely apply here! Thank you Judy, for the comment!